For Paone, luxury is not just an idea of branding, but a lifestyle, and despite the current trend of dressing down and casual business wear, Paone has remained committed to making dress wear of only the finest quality. 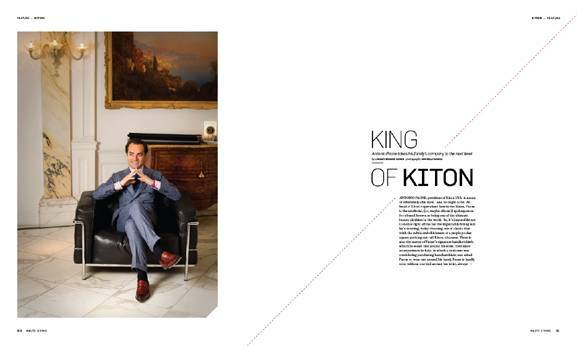 Antonio Paone, president of Kiton USA, is a man of effortlessly chic style. And he ought to be. As head of Kiton’s operations here in the States, Paone is the unofficial, (or, maybe official?) spokesperson for a brand known as being one of the ultimate luxury clothiers in the world. So, it’s impossible not to notice right off the bat the impeccably fitting suit he’s donning, today choosing one of classic blue with the subtle embellishment of a purple pocket square peeking out—all Kiton, of course. There is also the matter of Paone’s signature handkerchiefs, which he wears tied around his wrist. Ever since an experience in Italy, in which a customer was considering purchasing handkerchiefs, and asked Paone to wear one around his hand, Paone is hardly seen without one tied around his wrist, always next to his watch. A bit superstitious, maybe, but Paone stands by it. After all, the customer did buy twenty handkerchiefs that day. “And from then on, because that day was incredible, and we had a lot of business, I stuck with it,” said Paone. Why fix what’s not broken? Paone’s uncle, Ciro Paone, and a select group of other Neapolitan tailors, started creating what would become the signature Kiton suit in 1968. Decades later, the line is not just still around, but is thriving. Paone has surrounded himself in the Kiton world since the time he was able to walk. He grew up making trips to the factory and playing with the fabrics. In his spare time he was by his father’s side, learning the ins and outs of the family business. Paone’s passion lies within the fabrics. He began choosing fabrics with his uncle all over Euope, in England, Italy, Vienna, and Scotland. He began working at Kiton as a salesman, dealing with customers, hearing about their experiences, and getting constructive feedback. It was the beginning of an apprenticeship to create the perfect Kiton suit. Paone has since become one of Kiton’s leading executives, traveling back and forth between Naples and New York City to oversee the brand’s growing U.S. operations. Kiton prides itself on its exclusive fabrics, everything from the lightest summer-weight suits, fibers measuring 11.2 microns (one-ninth the thickness of human hair), to the mid-weight stock of its CI.PA. collection, a capsule line of suits made from vintage ‘60s-era fabrics, which are cut with slim and contemporary silhouettes. Paone himself is all about luxury. A self-professed watch aficionado, Paone has an ever-growing collection. He confided that Patek Philippe is his brand of choice, and when asked to compare his own clothing brand to a watch brand, as a gauge of style and craftsmanship, he chose Patek without hesitation. For Paone, luxury is not just an idea of branding, but a lifestyle, and despite the current trend of dressing down and casual business wear, Paone has remained committed to making dress wear of only the finest quality. 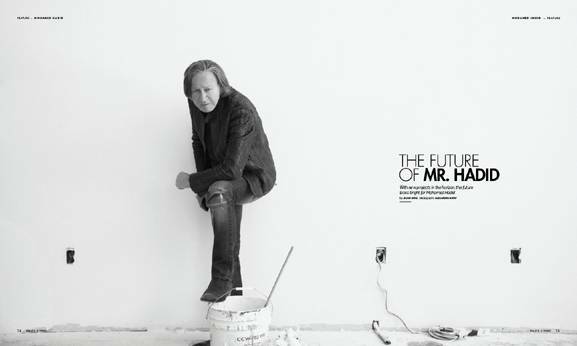 When asked about whether or not he feels the casual trend is here to stay, Paone answered that he believes a more formal and sophisticated style is back in vogue, “People are starting to dress well again, not that they didn’t dress well before, but it’s coming back from casual sportswear.” Paone also believes that the current surge in his Kiton sales, notably items like suits, jackets, and ties, is not exclusively due to a change in style, but also to the current economic upswing. Although he believes it will be a few years before things return to the peak of 2008, but remains optimistic for luxury brands. He acknowledges that business overseas has been hugely profitable, “There are new markets, like China and India. 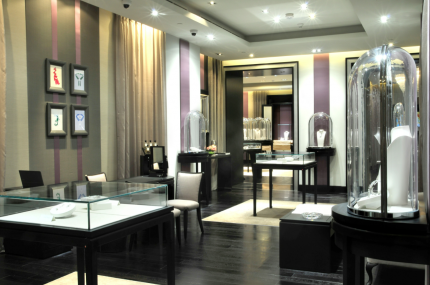 We have opened ten stores in China in the last two years alone. Business there is unbelievable.” Kiton also has expanded into new markets here in the U.S. Through an exclusive deal with fine clothing purveyors Neiman Marcus and Saks Fifth Avenue, Kiton goods can be purchased at these outlets in all major markets. On including Kiton in these stores, Paone said, “My idea is to build a shop within a shop at the big department stores, so the customer can see all the collection.” Currently, Kiton is available in six Neimans and five Saks’ across the country. But, Paone understands the selectivity of his clientele. He is not trying to simply reach more customers, but rather to build a new relationship based on the uncompromising quality of his goods, “My clients are different clients,” he said, “they are looking for quality. Quality does not mean a brand. They don’t want to show that they are wearing Kiton, they want to show they are wearing something for themselves.” Paone even went on to further distinguish the discerning tastes of his clients by stating, “My customers are not the Tom Ford customers.” Not to single-out Mr. Ford, but Paone only used him as an example of a designer-based brand, who, in the opinion of Paone, does not truly represent what luxurious tailoring and craftsmanship is about. Kiton, on the other hand, uses a vertically integrated manufacturing model, in which fabrics are specially sourced and chosen from only the finest producers, and even recently acquired a majority share of Italy’s renowned Carlo Barbera Mill, thereby ensuring the master tailors who craft each suit for Kiton are working with the best of the best. It is this dedication to quality that has led Paone to a level of luxury that is all his own, even going so far as to say he doesn’t “see competitors” among other designers and brands. That’s the mark of a man truly confident in his product with a mission to provide his clientele with a clothing experience like no other in the world.